If you appreciate the smooth, nuanced flavors of the top Dominican cigars - La Aurora cigars need to be on your to-do list. 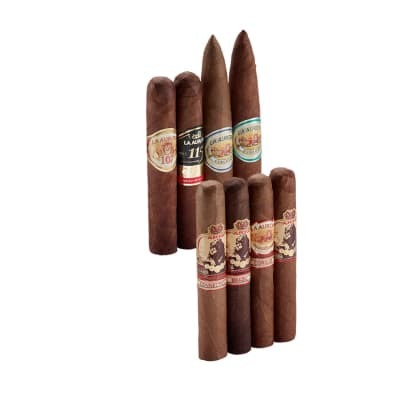 The Famous Best of La Aurora sampler boasts many of their most sought-after and highly-rated blends, like the Preferidos selections and a trio of the 1495 series. 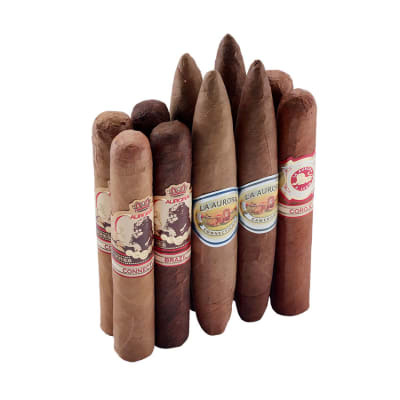 Eight cigars in all, this Best of La Aurora allows you to discover their wide range of stunning tobacco flavors in very unique blends. Order yours now and see for yourself! I wish more were available to order right now. 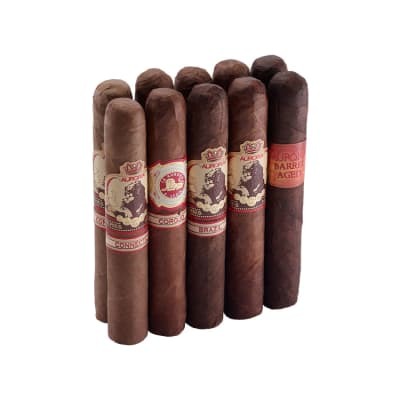 This is truly an exceptional smoke, and well worth every penny spent.There is very little development in flavor from start to finish, which is not a problem in this case, because the flavor is dynamic throughout. 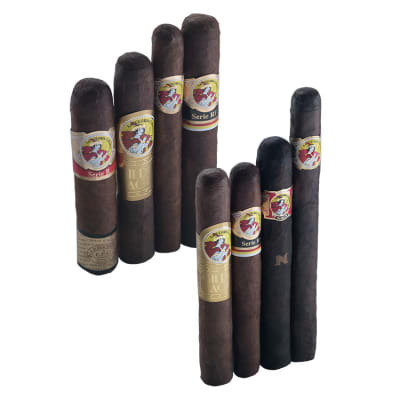 It is a medium to full bodied smoke that tastes like sweet leather, espresso, and dark chocolate. It is not too much of any flavor though. It just keeps drawing me back for puff after puff.The draw is absolutely perfect, mouthfeel leaves nothing wanting, and the aroma is heavenly. I have smoked three of these now and burn was perfect on each one.This truly is a gold standard in cigars, one that I will remember and seek out. Very satisfying. nice easy smoke. La Aurora seldom disappoints and this is no exception. Surprisingly complex and the Connecticut wrapper softens the whole thing down nicely.